Our history- Smart Home America, since 2009. Based in Mobile, Alabama. Every storm leaves destruction in it path. For us, it was the terrible losses of life and property after Hurricanes Ivan and Katrina, combined with the costly insurance crisis that followed, that brought together a diverse group of local, concerned citizens who knew we could not continue business as usual. They helped communities improve planning practices and educated them about how to building stronger to protect their future. Our founders committed themselves to finding solutions and preventing the type of incredible loss they’d seen again. 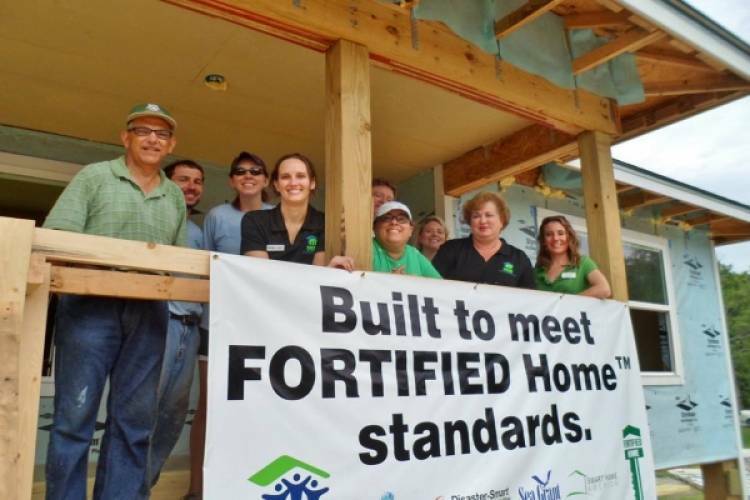 In their search, they identified IBHS and their FORTIFIED construction standard. This was the missing piece to our approach. FORTIFIED allowed us to build our way out of the insurance crisis and into a stronger, more resilient region. Smart Home America became the first organization to systematically implement FORTIFIED standards as a solution to the threats our communities face. By raising awareness of the risks we faced and the resources available to mitigate those risks, we advocated for improving building codes and methods, smart financing solutions, and new policies to strengthen our communities. At the same time we leveraged our partners to take action and show that resilience can be achieved affordably and effectively. These tangible demonstrations combined with continuous education changed how communities approach building and planning for the severe weather. The work of our organization began in Alabama, which is now the model many other states and communities are looking to replicate in order to meet their own needs. Through years of work, we’ve found the best approach to strengthening a community and building its resilience is from the bottom, up. The primary drivers are engaged local citizens, education and outreach, demonstration projects, improved building codes, stronger (code-plus) building standards, innovative laws and policies, smart financing solutions and the adoption of the Code Supplement, which incorporates FORTIFIED recommendations into local building codes. Ever wonder what’s behind your walls and on your roof? Construction technology advances too. Find out if have the safest and strongest available.